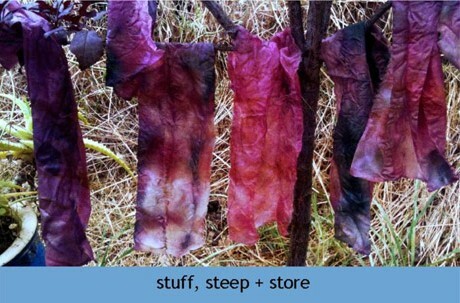 Smaller one is a linen shirt pre-treated with soy milk then rolled up with red onion skins and covered with a leftover eucalyptus dye bath. Larger is a long sleeved linen shirt with sleeves rolled around copper tubing and camellia and rose leaves. 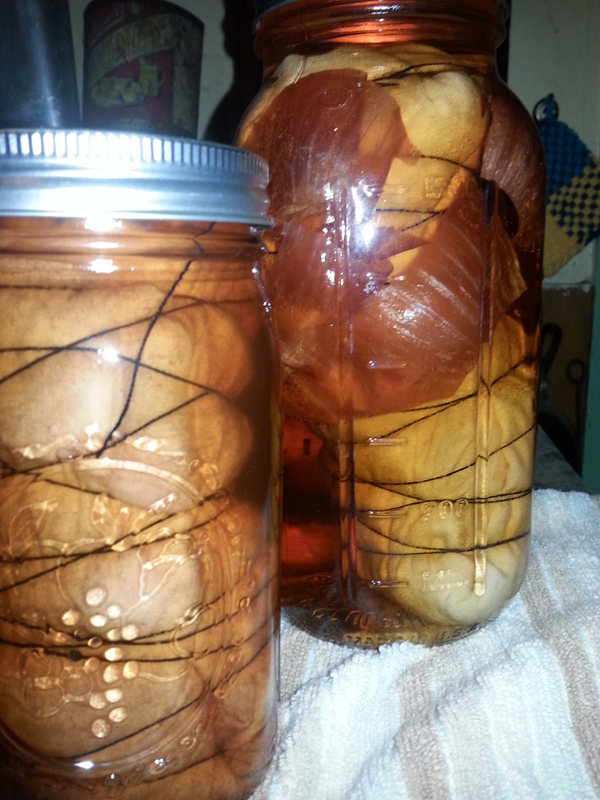 I threw in a yellow onion skin for jar decoration.